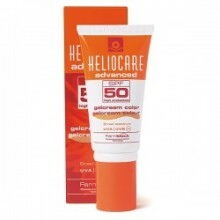 Heliocare now offer a tinted gelcream sunscreen with amazing protection! Heliocare Gel Cream Colour Brown SPF 50 is non-oily, easy-apply, light to the touch formulation with a skin-tone enhancer, giving a healthy bronzed look. Ideal for daily use and all skin types, it provides optimum photo-ageing protection whilst helping mask uneven areas of skin tone and blemishes. Uniformly apply small quantities in the morning as directed by your aesthetic professional, gently smoothing over skin surface for a healthy, tanned appearance. Reapply every 2-3 hours during periods of high sun exposure.